You won’t find Motivation 101 in most business schools; yet, the ability to motivate one's team and organization is one of the most important skill you must possess today. Now, more than ever, a leader and manager's job is to motivate and rally his or her team through challenging times. You can’t outsource motivation. It is the leader and manager who must motivate. That’s why I often say motivational speeches don’t work but leaders who motivate do. Many leaders want to take the emotion out of business but that is a huge mistake. When fear and negativity are the primary emotions people in your organization are feeling, you have to counter that with an even more powerful emotion, like faith, belief, and optimism. And your success in that depends on your ability to motivate. In this spirit here are five strategies to motivate your team from The Power of Positive Leadership to get the results you want. 1. Don't be too busy to communicate. Uncertainty breeds negativity if there is a void in communication. Unless managers and leaders fill this void with clear and positive communication, people will assume the worst and act accordingly. Don't let your busy schedule get in the way of taking the time to talk with your team. 2. Lead with optimism. The engine for America's growth and prosperity has always been its can-do attitude and spirit. Unfortunately, in the past few years optimism has been in short supply. The most important weapon against pessimism is to transfer your optimism and vision to others. Leadership is a transfer of believe and your belief inspires others to think and act in ways that drive results. 3. Share the vision. It's not enough to just be optimistic. You must give your team and organization something to be optimistic about. Talk about where you have been, where you are, and where you are going. Share your plan for a brighter and better future, talk about the actions you must take, and constantly reiterate the reasons why you will be successful. Create a vision statement that inspires and rallies your team and organization. Not a page-long vision statement filled with buzzwords, but a rallying cry that means something to the people who invest a majority of their day working for you. This vision statement can’t just exist on a piece of paper. It must come to life in the hearts and minds of your team So it's up to you to share it, reinforce it, and inspire your people to live and breathe it every day. 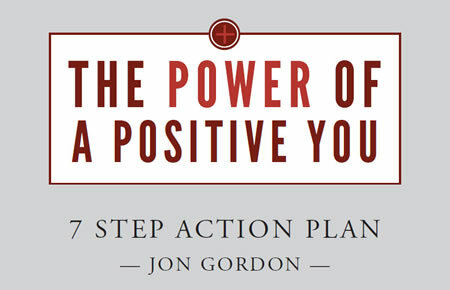 A positive vision for the future leads to powerful actions today. 4. Relationships build real motivation. It's much easier to motivate someone if you know them and they know you. After all, if you don't take the time to get to know the people who are working for you, then how can you ever truly know the best way to lead, coach, and motivate them effectively? 5. Create purpose-driven goals. Real motivation is driven by purpose and a desire to make a difference. When people feel as though the work they do is playing an integral role in the overall success of the team and organization and the world, they are motivated to work harder. Great teams don't work for a paycheck. They work for each other and a bigger purpose. Which of the 5 strategies do you feel are the most important to you? Share your thoughts with me on Twitter or Facebook. LightWorkers, founded by Roma Downey and Mark Burnett, is an amazing online resource with a mission to create engaging, uplifting and inspirational content (articles, videos and more) that motivates people to celebrate and share the good all around them. 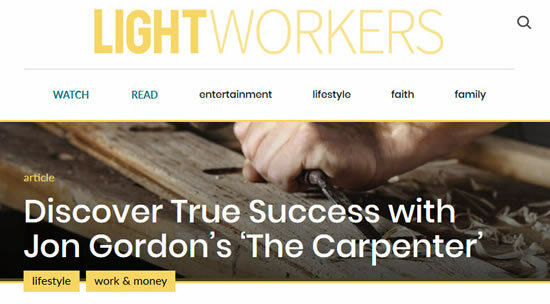 You can also check LightWorker's recent feature of The Carpenter here.